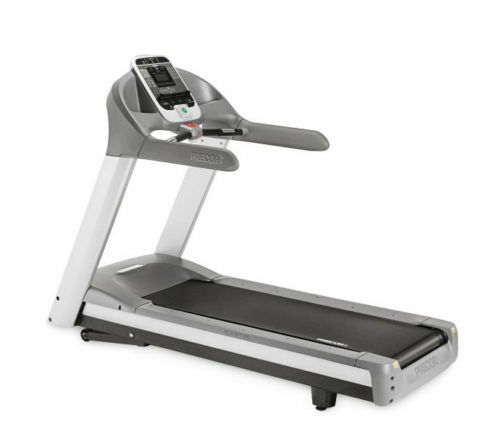 (Our Refurbished Guide Price €1800 – €2500) This Full Commercial Precor Experience 956i Commercial Treadmill from Gym Equipment Ireland . 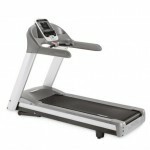 ie is ideal for a Fitness Centre or Sports Club. It is A highly reliable machine with lots of user Functionality and Various programs combined with ease of use, Display featuring Tap Control™ Tactile paddles control speed and incline, confirming user input with a satisfying click. The feedback options make it easy to monitor workouts. Standard CSAFE interface Makes the Precor 956i Experience Series Treadmill compatible with other electronic fitness and entertainment systems, such as Fitlinxx® and Cardio Theater®. IFT-Drive controller works with a 4.0hp peak duty AC induction motor for a smooth, natural feel. Three-phase, sensor less variable frequency drive technology for high reliability and accurate speed control. Integrated power components and fan to handle higher loads and temperatures. Touch heart rate monitor Easy-to-use handgrip sensors monitor heart rate during workouts. 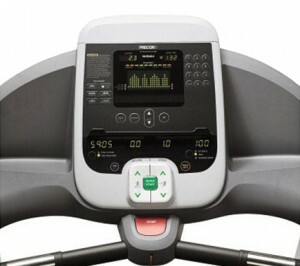 Biofeedback center featuring SmartRate®Shows calories and actual heart rate in relation to exerciser’s target zone for weight loss and cardio training.Foam handrails The foam overmolded handlebars extend 2 feet from the console giving users a feeling of comfort and security regardless of their Training Tempo.